How can I get the tools to bring the power of Everything DiSC to my own organization or Clients? 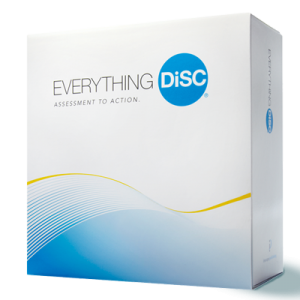 If you are interested in bringing the power of Everything DiSC into your business, an Everything DiSC Facilitator Kit is an invaluable resource. 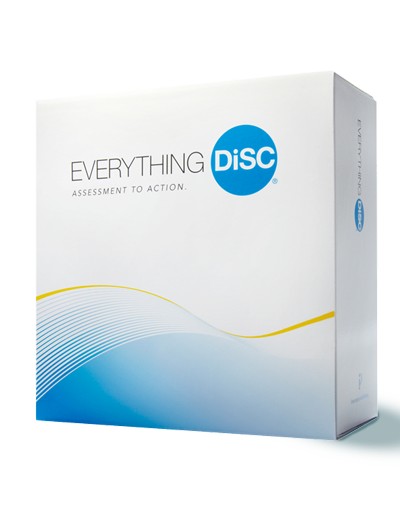 You can provide yourself with the tools to understand and explain the power of the Everything DiSC model. You will also be able to support participants in applying this model to their work with others and improving both their communication and the results they can achieve. 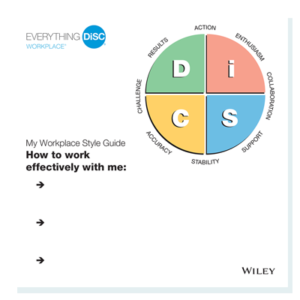 This facilitation kit is designed to enable you to support the Everything DiSC Workplace Profile; supporting people to learn about both the model and themselves. The kit includes everything you need in order to create your own workshops to help people apply the lessons of the Everything DiSC Workplace Profile. 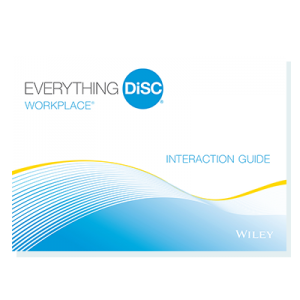 The Everything DiSC® Workplace Facilitation Kit is your first stop to becoming a facilitator; helping people see and appreciate the power of the Everything DiSC® Workplace Profile. With the embedded script and videos, this is a wonderful tool to help trainers get up to speed quickly. It also allows the opportunity to provide consistency among a team of trainers within an organization. This is a must have for organizations that are employing Everything DiSC to create greater results. Become a resource for yourself and others. Learn to help people see the possibilities that are available if they can understand their own style and the styles of others. Learn to work together and communicate better. Support others in their journey to learning about the power of the Everything DiSC Workplace Profile and apply the lessons by giving yourself the best tools available for the job.